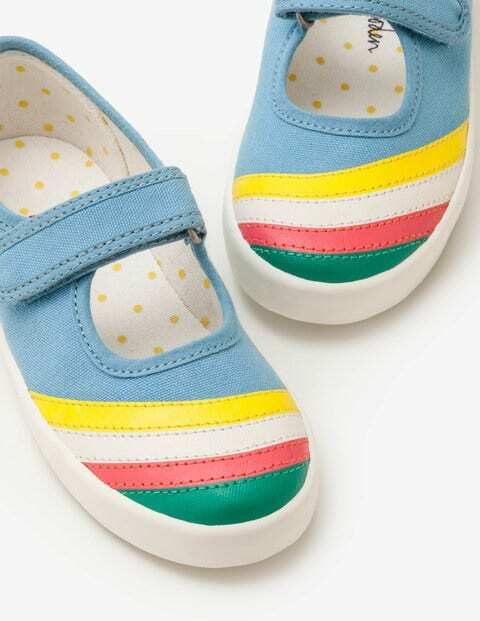 Getting ready to play couldn't be simpler with our touch-and-close fastening Mary Janes. Choose from embroidered chambray or look simply purrfect with animal-embroidered suede toe caps and their 3D ears. With their canvas footbeds and easy fit, this super comfortable canvas pair is ready for any adventure.